Smoothies are a yummy and refreshing breakfast, and this one was made even better by packing it with greens! Bonus: Eating greens as your first meal of the day is really easy on your stomach because they’re not difficult to digest. Its an awesome way to start your day! 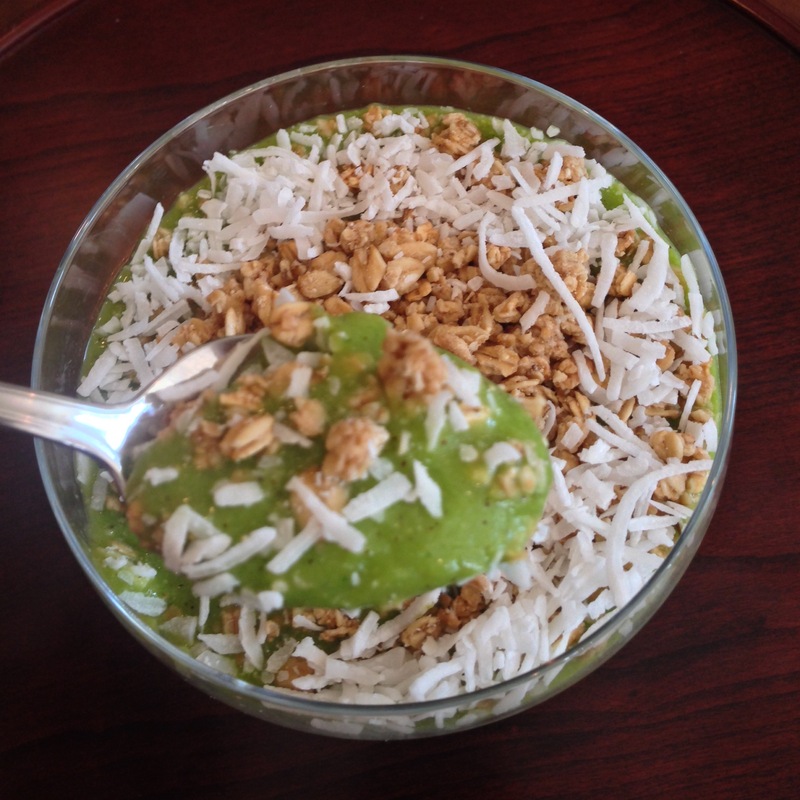 Topped off with some shaved coconut and granola!